MADISON, Wis. — HATE the Common Core? You’re not alone. The national reading and math standards, set up by a bipartisan consortium of state governors, have turned into a political lightning rod for a coalition of angry parents and education activists. The math component has generated special peevishness. The comedian Louis C.K. was widely cheered in April when he tweeted: “My kids used to love math. Now it makes them cry. Thanks standardized testing and Common Core!” Governors around the country, including many former Common Core supporters, are considering strangling the Common Core in its crib. Indiana, Oklahoma and South Carolina have already adopted new bespoke state standards. Democracy in action! There’s just one problem. What’s replacing the Common Core is, by and large, the same thing in a new package. Frequent testing is locked in by federal funding requirements and, in many states, by accountability statutes long predating the Common Core. Just recently, Gov. Chris Christie of New Jersey announced that his administration. Meet the New Common Core ­ _r=0 2/4 was moving to abandon the Common Core curriculum but sticking with the corresponding state exam, all but conceding that the new standards would be essentially identical with the old. And what about the material itself? Will new standards banish the homework problems that make Louis C.K.’s kids cry? I doubt it. The South Carolina Education Oversight Committee found that the new South Carolina math standards were 92 percent in alignment with the content of the Common Core. In other words, the math they’re asking students to learn is largely the same. One controversial Common Core standard is “making 10,” a strategy for first graders learning addition. If you want to remember what 8+5 is, you recall that 8 needs two more to be 10; take those two away from the 5 and give them to the 8, leaving you with 10+3 = 13. One critic of this technique, Gov. Greg Abbott of Texas, complained about it on TV. But “making 10” is still there in the new Indiana standards. And though Texas itself never adopted the Common Core, it did join the rest of the country in teaching “making 10,” which you can find in Texas’s state math standard 111.3.b.(3).D. Other activists denounce the Common Core’s emphasis on writing down criticisms of incorrect mathematical reasoning. Isn’t math about getting the right answer, by any means necessary? Not in Indiana, whose post­Common Core standard asks students to “listen to or read the arguments of others, decide whether they make sense, and ask useful questions to clarify or improve the arguments.” That’s the same as the Common Core, word for word. If the Common Core is so unpopular, why have legislators largely opted to preserve it, even as they ditch the toxic Common Core brand? Why not just go back to the way we taught math before? One reason: The Common Core is the way math was taught before. True, the new South Carolina standards are 92 percent aligned with the Common Core. But the Common Core was 97 percent aligned with the math standards South Carolina was using before! 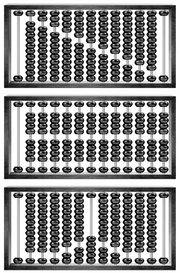 The term “number sentence,” which the comedian Stephen Colbert mocked, is 50 years old, and the kind of problem it describes appears in textbooks from the 1920s. Meet the New Common Core ­ t as the newfangled method asks us to. I’m sure as roses not adding 4 to 7, carrying the 1, adding 10 to 6 and carrying the 1 again. Having different strategies for different situations is how people who are good at mental math actually function. The Common Core doesn’t reinvent math education, but it does change its emphasis. The early­grade standards focus on speed, correctness and understanding in arithmetic, because students without that basis get kneecapped later by algebra and calculus. My son, an elementary­school student in a Common Core district, has done lots of timed arithmetic drills and learned standard algorithms (alongside other ones) for addition, multiplication and long division. That’s the core of the Common Core. My kid has had teachers who liked and understood the math they taught. But not everyone’s so fortunate, and no governor or blue­ribbon commission can make it so by fiat. We’re certainly not offering new teachers the pay and working conditions that would attract the full range of math lovers to the profession. Follow The New York Times Opinion section on Facebook and Twitter, and sign up for the Opinion Today newsletter. A version of this op­ed appears in print on June 16, 2015, on page A27 of the New York edition with the headline: Meet the New Common Core.